Pregnancy is an exciting time in your life, but it can also increase your risk of periodontal disease. This is one reason proper dental care is so important. Schedule an appointment with your dentist as soon as you know you are pregnant. Make sure he is aware of your pregnancy. He can evaluate your oral health and will know which treatments should be avoided until after your baby is born. Professional cleaning can reduce your risk of oral health problems, and other problems that are associated with oral health. A nutritious diet can result in an easier pregnancy and a healthier baby. If you do not have a balanced diet, now is the time to start. The vitamins and minerals you consume each day affect both you and your baby. Your diet should contain plenty of dairy products. While your unborn child needs calcium for healthy growth, calcium also benefits your teeth and bones. You can reduce your risk of tooth loss during pregnancy by drinking milk, and eating foods that are rich in calcium. Yogurt, ice cream, and cheese are some examples. Women often experience cravings when they are pregnant. You should not allow cravings to interfere with healthy meals. However, if you crave foods or beverages that can be harmful to your oral health, discuss the issue with your doctor. Sugary or sticky products can harm your gums and teeth. Home dental care is essential during pregnancy. Flossing and brushing will keep your teeth and gums clean and healthy. Morning sickness is a problem for many pregnant women. It should not interfere with your home dental care. Your dentist can recommend a toothpaste that has a mild or bland taste. If vomiting is an issue, rinse with cool water after vomiting. It is unnecessary to lose teeth or develop gum disease simply because you are pregnant. 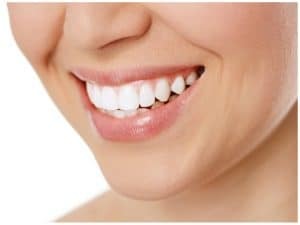 When you begin with these tips, you will increase your chance of having healthy teeth during and after your pregnancy. Good habits at home and visits to your dentist can make this time in your life exciting and healthy.